How about some inspiration to make your sewing smoother and easier? 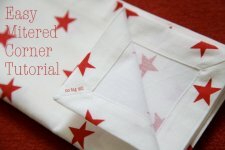 Destri from The Mother Huddle has put together an impressive selection of resources, including ideas such as the second image to the side for the Easy Mitered Corner tutorial by Katy from No Big Dill. 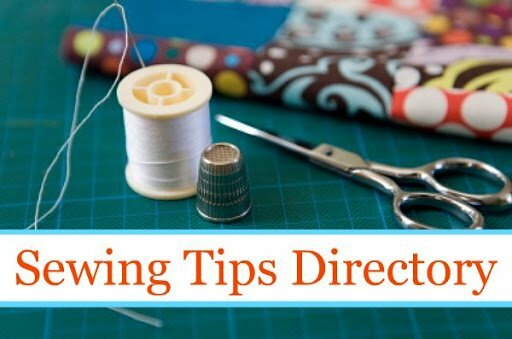 "I have been wanting to make this sewing tips directory forever. A list of all the best sewing tips, tricks, and techniques from around the web all in one spot. I had some pinned, some bookmarked, others referenced on my other posts, and some just in my head. Finally, one tidy list – kind of like a yellow pages for the best sewing tips. I hope you find it useful too, because it took for.ev.er. and if you just go on and on about how great it is I will feel much better about the kink in my neck from all the linking :). So bookmark it, pin it, or feel free to link to it – just please don’t copy and paste it (that would make me sad with a kinked neck!). "I will continue to update this as I find more too, so if you have one that should make the list, let me know!" What do you think of this free online resource?